Below is my view about Fed’s rate rise and its impact on China, published today on Il Sole 24 Ore/Radiocor Plus(Italian). Below is the English translation. The rate hike operated by the Fed should not lead to particularly negative consequences for China. In my view, the main reason for this is that China, contrary to the common narrative, is adopting measures to take a step back in the reforms of the financial system. 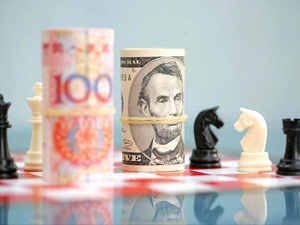 The RMB exchange rate, domestic interest rates, the internationalization of the RMB and the opening of the capital account are all initiatives that were proudly heralded until a few months ago, while now are, instead, experiencing a turnaround. No more openness but re-trenching. We know very well that the famous ‘Impossible Trinity’ forces any country to only choose two of the following three options: 1) maintain a rigid exchange rate; 2) maintain an independent monetary policy; 3) open the capital account. China, in an attempt to defy the laws of economic nature has flirted for a while ‘with all three at once, in 2014, when it tried to open the capital account and, at the same time, to control the value of the RMB. Such well-advised attempt was not very successful; indeed the US$/CNY exchange rate went from a low of 6.0 in 2014 to the current 6.95, a fall of 15%, a drop already widely anticipated, which caused a decrease in foreign monetary reserves and, even more worryingly, created and fomented the expectation of further depreciation which, combined with a lower economy growth, further fueled the vicious circle. In recent weeks, however, the Chinese policy-makers have been re-united with the reality and, in order to regain control of the exchange rate, have adopted restrictive measures on the export of capital. Until recently, capital exports from China to other countries were motivated by three factors: the first, as already mentioned, was the result of the vicious circle of downward pressure on exchange rate and GDP; the second, was motivated by the desire to export capital accumulated in not so clear manners at any cost. In some cases, when using those funds for purchases of foreign assets, be it of acquisitions or simply investment in currency, a blind eye was turned on the fair valuation of the target. The third reason, the most fundamental one, was rather dictated by a more genuine search for overseas investment opportunities. Investments that could actually generate returns higher than those available in China. Absurd as it may seem given the differential in GDP growth rates between China and Europe – 6.5% vs 0% – due to the collapse of the value of certain assets, Chinese investors could find the gems amongst the chaos of Europe. Now, with the return of Chinese policy makers to paying attention to the Impossible Trinity and with some doors for exports of capital starting to close, this latter motive, the industrial investment argument, remains the dominant rationale for capital outflows. It is within with context that I believe that the impact on China of the Fed’s rates increase, as mentioned at the beginning, is likely to be small. The semi-closure of the capital account allows the return of the RMB exchange rate of solidly in the hands of the government which now can decide, with a stroke, the daily value of the Dollar-Yuan without having to bleed monetary reserves. Just a few days ago I recalled, during a conference, that the value of only two days of global currency trading – mostly between Dollar, Yen, Pound Sterling and Euro – is equivalent to the total annual GDP of the whole of China. As soon as any government makes the choice to open the country’s capital account and let the market decide the value of the exchange rate, there’s little that any central bank can do to defend its currency. China, therefore, does well to re-trench, at least for a while, to disconnect from the world of international finance, while waiting for the new Trumponomics to become more’ clear.